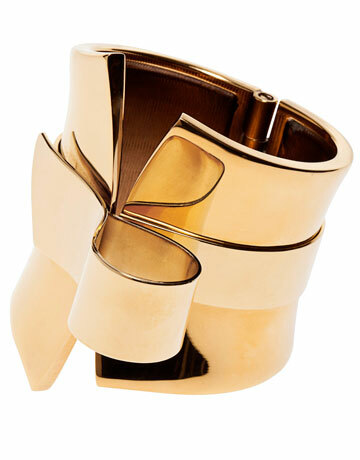 Statement cuffs are a huge trend to watch this fall – I have my eye on this Vionnet gold bow cuff. Sleek, sophisticated and uber feminine. Unfortunately it is not yet available online, but in the meantime, check out the rest of Vionnet’s fall/winter 2011 collection for more goodies!